With 3 new works by Argentinian LABA Fellow Mirta Lupferminc. Through the inhabitable sculptures "S-Naked" and "Eve: Chair of all Mothers" and the video work "Divine Desire" Kupferminc explores that tricky place where desire and motherhood meet. 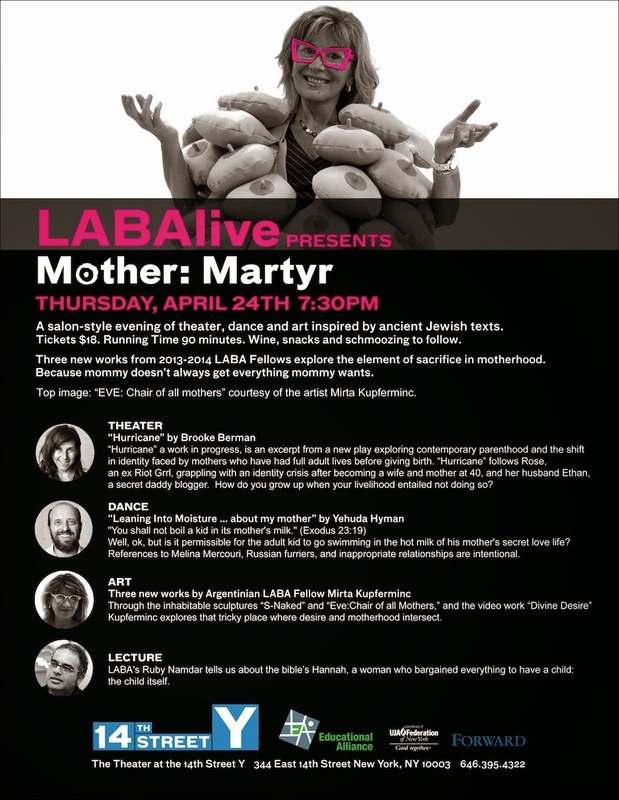 A salon style evening of theater, dance & art inspired by ancient Jewish texts.